veisalgia from Norwegian: kveis, "discomfort following overindulgence," and Greek: ἄλγος álgos, "pain"
La buveuse ("The Drinker"), a portrait of Suzanne Valadon by Toulouse-Lautrec. A hangover is the experience of various unpleasant physiological and psychological effects following the consumption of ethanol, as found in wine, beer and distilled spirits. Hangovers can last for several hours or for more than 24 hours. Typical symptoms of a hangover may include headache, drowsiness, concentration problems, dry mouth, dizziness, fatigue, gastrointestinal distress (e.g., vomiting), absence of hunger, depression, sweating, nausea, hyper-excitability and anxiety. Though many possible remedies and "folk cures" have been suggested, there is no compelling evidence to suggest that any are effective for preventing or treating alcohol hangover. Avoiding alcohol or drinking in moderation are the most effective ways to avoid a hangover. The socioeconomic consequences and health risks of alcohol hangover include workplace absenteeism, impaired job performance, reduced productivity and poor academic achievement. A hangover may also compromise potentially dangerous daily activities such as driving a car or operating heavy machinery. An alcohol hangover is associated with a variety of symptoms that may include drowsiness, headache, concentration problems, dry mouth, dizziness, gastrointestinal complaints, fatigue, sweating, nausea, hyper-excitability, anxiety and a feeling of general discomfort that may last more than 24 hours. Alcohol hangover symptoms develop when blood alcohol concentration falls considerably and peak when it returns to almost zero. Hangover symptoms validated in controlled studies include general malaise, thirst, headache, feeling dizzy or faint, tiredness, loss of appetite, nausea, stomach ache, and feeling as though one’s heart is racing. Some symptoms such as changes in sleep pattern and gastrointestinal distress are attributed to direct effects of the alcohol intoxication, or withdrawal symptoms. Drowsiness and impaired cognitive function are the two dominant features of alcohol hangover. After being ingested, ethanol is first converted to acetaldehyde by the enzyme alcohol dehydrogenase and then to acetic acid by oxidation process. These reactions also convert nicotinamide adenine dinucleotide (NAD+) to its reduced form NADH in a redox reaction. By causing an imbalance of the NAD+/NADH redox system, alcoholic beverages make normal bodily functions more difficult. Consequences of the alcohol induced redox changes in the human body include increased triglyceride production, increased amino acid catabolism, inhibition of the citric acid cycle, lactic acidosis, ketoacidosis, hyperuricemia, disturbance in cortisol and androgen metabolism and increased fibrogenesis.The metabolism of glucose and insulin are also influenced. However, recent studies showed no significant correlation between hangover severity and the concentrations of various hormones, electrolytes, free fatty acids, triglycerides, lactate, ketone bodies, cortisol, and glucose in blood and urine samples. Acetaldehyde, the first by-product of ethanol, is between 10 and 30 times more toxic than alcohol itself and can remain at an elevated plateau for many hours after initial ethanol consumption. In addition, certain genetic factors can amplify the negative effects of acetaldehyde. For example, some people (predominantely East Asians) have a mutation in their alcohol dehydrogenase gene that makes this enzyme unusually fast at converting ethanol to acetaldehyde. In addition, about half of all East Asians convert acetaldehyde to acetic acid more slowly (via acetaldehyde dehydrogenase), causing a higher buildup of acetaldehyde than normally seen in other groups. 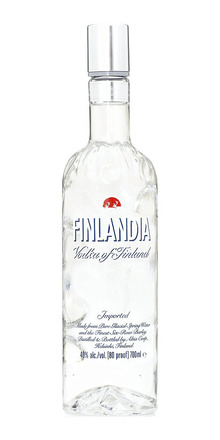 The high concentration of acetaldehyde causes the alcohol flush reaction, colloquially known as the "Asian Glow". Since the alcohol flush reaction is highly uncomfortable and the possibility of hangovers is immediate and severe, people with this gene variant are less likely to become alcoholics. There is no evidence that any treatment for hangovers is very effective. 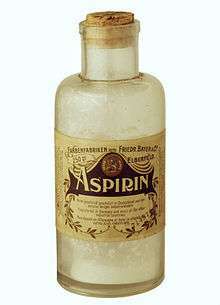 Non-steroidal anti-inflammatory drugs such as aspirin have been proposed as a treatment for the headaches associated with a hangover. There however is no evidence to support a benefit and there are concerns that combined use of alcohol and aspirin may increase the risk of stomach bleeding and liver damage. Opuntia ficus-indica: An extract of a species of cactus may reduce some effects of hangover. The risk of having a severe hangover was found to be reduced by 50% in one study, although no differences were observed in overall hangover severity. Nausea, lack of appetite and dry mouth were less often reported, whereas no changes were found for headache, soreness, weakness, tremulousness, diarrhea and dizziness. Opuntia ficus-indica was most effective in those participants who consumed drinks with high levels of congeners. Pyritinol: A 1973 study found that large doses (several hundred times the recommended daily intake) of Pyritinol, a synthetic Vitamin B6 analog, can help to reduce hangover symptoms. Possible side effects of pyritinol include cholestatic hepatitis and acute pancreatitis. Yeast-based extracts: The difference in the change for the symptoms discomfort, restlessness, and impatience were statistically significant but no significant differences on blood chemistry parameters, blood alcohol or acetaldehyde concentrations have been found, and it did not significantly improve general well-being. Hair of the dog: The belief is that consumption of further alcohol after the onset of a hangover will relieve symptoms, based upon the theory that the hangover represents a form of alcohol withdrawal and that by satiating the body's need for alcohol the symptoms will be relieved. Social drinkers and alcoholics claim that drinking more alcohol gives relief from hangover symptoms, but research shows that the use of alcohol as a hangover cure seems to predict current or future problem drinking and alcohol use disorder, through negative reinforcement and the development of physical dependence. While the practice is affirmed by tradition and by many hospitality providers, medical opinion holds that the practice merely postpones the symptoms, and courts addiction. Favored choices include Fernet Branca and Bloody Mary. A somewhat dated French idiomatic expression for hangover is "mal aux cheveux", literally "bad hair" (or "[even] my hair hurts"), although it is apparently unconnected to the origin of the English expression "bad hair day". 1 2 3 4 Stephens, R.; Ling, J.; Heffernan, T. M.; Heather, N.; Jones, K. (23 January 2008). "Review * A review of the literature on the cognitive effects of alcohol hangover". Alcohol and Alcoholism. 43 (2): 163–170. doi:10.1093/alcalc/agm160. PMID 18238851. 1 2 Prat, Gemma; Adan, Ana; Sánchez-Turet, Miquel (1 June 2009). "Alcohol hangover: a critical review of explanatory factors". Human Psychopharmacology: Clinical and Experimental. 24 (4): 259–267. doi:10.1002/hup.1023. PMID 19347842. 1 2 3 4 5 6 7 8 9 Penning R, van Nuland M, Fliervoet LA, Olivier B, Verster JC (June 2010). "The pathology of alcohol hangover". Current drug abuse reviews. 3 (2): 68–75. doi:10.2174/1874473711003020068. PMID 20712596. 1 2 Pittler, MH; Verster, JC; Ernst, E (Dec 24, 2005). "Interventions for preventing or treating alcohol hangover: systematic review of randomized controlled trials". BMJ (Clinical research ed.). 331 (7531): 1515–8. doi:10.1136/bmj.331.7531.1515. PMC 1322250 . PMID 16373736. 1 2 3 4 5 Verster JC, Stephens R, Penning R, Rohsenow D, McGeary J, Levy D, McKinney A, Finnigan F, Piasecki TM, Adan A, Batty GD, Fliervoet LA, Heffernan T, Howland J, Kim DJ, Kruisselbrink LD, Ling J, McGregor N, Murphy RJ, van Nuland M, Oudelaar M, Parkes A, Prat G, Reed N, Slutske WS, Smith G, Young M, Alcohol Hangover Research Group (June 2010). "The alcohol hangover research group consensus statement on best practice in alcohol hangover research.". Current drug abuse reviews. 3 (2): 116–26. doi:10.2174/1874473711003020116. PMID 20712593. ↑ Verster, J. C. (23 January 2008). "The alcohol hangover-a puzzling phenomenon". Alcohol and Alcoholism. 43 (2): 124–126. doi:10.1093/alcalc/agm163. PMID 18182417. 1 2 Penning, R; McKinney, A; Verster, JC (May–Jun 2012). "Alcohol hangover symptoms and their contribution to the overall hangover severity.". Alcohol and alcoholism (Oxford, Oxfordshire). 47 (3): 248–52. doi:10.1093/alcalc/ags029. PMID 22434663. 1 2 3 4 5 Rohsenow, DJ; Howland, J (June 2010). "The role of beverage congeners in hangover and other residual effects of alcohol intoxication: a review". Current drug abuse reviews. 3 (2): 76–9. doi:10.2174/1874473711003020076. PMID 20712591. ↑ Alcohol and Cardiovascular Disease. Chichester: John Wiley & Sons. 1998. ISBN 0470515554. 1 2 3 Min, JA; Lee, K; Ki, DJ (June 2010). "The application of minerals in managing alcohol hangover: a preliminary review". Current drug abuse reviews. 3 (2): 110–5. doi:10.2174/1874473711003020110. PMID 20712595. ↑ Sprince H, Parker CM, Smith GG, Gonzales LJ (April 1974). "Protection against acetaldehyde toxicity in the rat by L-cysteine, thiamin and L-2-methylthiazolidine-4-carboxylic acid". Agents Actions. 4 (2): 125–30. doi:10.1007/BF01966822. PMID 4842541. ↑ Korsten M, Matsuzaki S, Feinman L (February 1975). "High Blood Acetaldehyde Levels after Ethanol Administration". New England Journal of Medicine. 292 (8): 386–389. doi:10.1056/NEJM197502202920802. ↑ Xiao Q, Weiner H, Crabb DW (1996). "The mutation in the mitochondrial aldehyde dehydrogenase (ALDH2) gene responsible for alcohol-induced flushing increases turnover of the enzyme tetramers in a dominant fashion". J. Clin. Invest. 98 (9): 2027–32. doi:10.1172/JCI119007. PMC 507646 . PMID 8903321. ↑ Earleywine, Mitchell (1999). Mind-Altering Drugs: The Science of Subjective Experience. OUP USA. p. 163. ISBN 978-0-19-516531-9. ↑ Wall, TL; Peterson, CM; Peterson, KP; Johnson, ML; Thomasson, HR; Cole, M; Ehlers, CL (1997-09-01). "Alcohol Metabolism in Asian-American Men with Genetic Polymorphisms of Aldehyde Dehydrogenase". Annals of Internal Medicine. 127 (5): 376–9. doi:10.7326/0003-4819-127-5-199709010-00007. PMID 9273829. Retrieved 2010-02-03. ↑ Maxwell, CR; Spangenberg, RJ; Hoek, JB; Silberstein, SD; Oshinsky, ML (Dec 31, 2010). "Acetate causes alcohol hangover headache in rats.". PLoS ONE. 5 (12): e15963. doi:10.1371/journal.pone.0015963. PMC 3013144 . PMID 21209842. ↑ Maxwell, CR; Spangenberg, RJ; Hoek, JB; Silberstein, SD; Oshinsky, ML (2010). Skoulakis, Efthimios MC, ed. "Acetate Causes Alcohol Hangover Headache in Rats". PLoS ONE. 5 (12): e15963. doi:10.1371/journal.pone.0015963. PMC 3013144 . PMID 21209842. ↑ Hori, Hisako; Fujii, Wataru; Hatanaka, Yutaka; Suwa, Yoshihide (1 August 2003). "Effects of Fusel Oil on Animal Hangover Models". Alcoholism: Clinical and Experimental Research. 27 (Supplement): 37S–41S. doi:10.1097/01.ALC.0000078828.49740.48. PMID 12960505. ↑ Goso, Yukinobu; Ueno, Masaki; Hotta, Kyoko; Ishihara, Kazuhiko (1 March 2007). "Protective Effects of the Whisky Congeners on Ethanol-Induced Gastric Mucosal Damage". Alcoholism: Clinical and Experimental Research. 31 (3): 390–394. doi:10.1111/j.1530-0277.2006.00319.x. PMID 17295722. 1 2 Wiese JG, Shlipak MG, Browner WS (6 June 2000). "The alcohol hangover". Annals of Internal Medicine. 132 (11): 897–902. doi:10.7326/0003-4819-132-11-200006060-00008. PMID 10836917. ↑ "Whiskey hangover worse than vodka, study says". MSNBC. 2009-12-18. Retrieved 2010-02-03. 1 2 Pawan GLS (1973). "Alcoholic drinks and hangover effects". Proc Nutr Soc. 32 (1): 15A. PMID 4760771. 1 2 3 Verster J. C. (2006). "Congeners and alcohol hangover: differences in severity among Dutch college students after consuming beer, wine or liquor". Alcoholism: Clinical and Experimental Research. 30 (Suppl. 6): 53A. doi:10.1111/j.1530-0277.2006.00150.x. 1 2 Verster, JC (January 2009). "The "hair of the dog": a useful hangover remedy or a predictor of future problem drinking?". Current drug abuse reviews. 2 (1): 1–4. doi:10.2174/1874473710902010001. PMID 19630732. ↑ "Hypoglycemia (Low Blood Glucose)". diabetes.org. American Diabetes Association. Retrieved 14 March 2015. ↑ Kim, DJ; Kim, W; Yoon, SJ; Choi, BM; Kim, JS; Go, HJ; Kim, YK; Jeong, J (November 2003). "Effects of alcohol hangover on cytokine production in healthy subjects". Alcohol (Fayetteville, N.Y.). 31 (3): 167–70. doi:10.1016/j.alcohol.2003.09.003. PMID 14693266. ↑ Kaivola, S; Parantainen, J; Osterman, T; Timonen, H (March 1983). "Hangover headache and prostaglandins: prophylactic treatment with tolfenamic acid". Cephalalgia : an international journal of headache. 3 (1): 31–6. doi:10.1046/j.1468-2982.1983.0301031.x. PMID 6342813. ↑ Wiese, J; McPherson, S; Odden, MC; Shlipak, MG (Jun 28, 2004). "Effect of Opuntia ficus indica on symptoms of the alcohol hangover". Archives of Internal Medicine. 164 (12): 1334–40. doi:10.1001/archinte.164.12.1334. PMID 15226168. 1 2 3 Piasecki, TM; Robertson, BM; Epler, AJ (June 2010). "Hangover and risk for alcohol use disorders: existing evidence and potential mechanisms". Current drug abuse reviews. 3 (2): 92–102. doi:10.2174/1874473711003020092. PMID 20712598. ↑ Verster, J. C. (2008). "The alcohol hangover-a puzzling phenomenon". Alcohol and Alcoholism. 43 (2): 124–126. doi:10.1093/alcalc/agm163. PMID 18182417. 1 2 Glater, Jonathan D. (2004-12-07). "Raw Eggs? Hair of the Dog? New Options for the Besotted". The New York Times. 1 2 Pittler MH, Verster JC, Ernst E (December 2005). "Interventions for preventing or treating alcohol hangover: systematic review of randomized controlled trials". BMJ. 331 (7531): 1515–8. doi:10.1136/bmj.331.7531.1515. PMC 1322250 . PMID 16373736. 1 2 3 4 5 6 7 8 9 Verster, JC; Penning, R (June 2010). "Treatment and prevention of alcohol hangover". Current drug abuse reviews. 3 (2): 103–9. doi:10.2174/1874473711003020103. PMID 20712594. 1 2 3 4 5 Wiese JG, Shlipak MG, Browner WS (June 2000). "The alcohol hangover". Annals of Internal Medicine. 132 (11): 897–902. doi:10.7326/0003-4819-132-11-200006060-00008. PMID 10836917. ↑ Maria, V; Albuquerque, A; Loureiro, A; Sousa, A; Victorino, R (Mar 6, 2004). "Severe cholestatic hepatitis induced by pyritinol". BMJ (Clinical research ed.). 328 (7439): 572–4. doi:10.1136/bmj.328.7439.572. PMC 381054 . PMID 15001508. ↑ Straumann, A; Bauer, M; Pichler, WJ; Pirovino, M (August 1998). "Acute pancreatitis due to pyritinol: an immune-mediated phenomenon". Gastroenterology. 115 (2): 452–4. doi:10.1016/S0016-5085(98)70212-4. PMID 9679051. ↑ Charles Dubow (1 Jan 2004). "Hangover Cures". Forbes. 1 2 Felten, Eric (2008-12-27). "Recipe to Cure a New Year's Eve Hangover - WSJ.com". Online.wsj.com. Retrieved 2010-03-26. ↑ Ian Ellis. "March 29 - Today in Science History". Todayinsci.com. Retrieved 2010-03-26. ↑ "// Welcome To". Colamyths.com. Retrieved 2010-03-26. 1 2 Paulsen, Frank M. (April–June 1961). "A Hair of the Dog and Some Other Hangover Cures from Popular Tradition". The Journal of American Folklore. 74 (292): 152–168. doi:10.2307/537784. JSTOR 537784. ↑ English, Camper (2006-12-29). "For hangovers, bartenders prefer the 'hair of the dog' - SFGate". Articles.sfgate.com. Retrieved 2010-03-26. ↑ "Hangover Myths Slideshow: Hangover Cures, Herbal Remedies, Hair of the Dog, and Other Common Myths". Webmd.com. 2008-11-14. Retrieved 2010-03-26. ↑ Curtis, Wayne (2010-03-05). "The Bitter Beginning - Magazine". The Atlantic. Retrieved 2010-03-26. ↑ "Anti-Hangover Tips". The Webtender. Retrieved 2010-03-26. ↑ McGregor NR (November 2007). 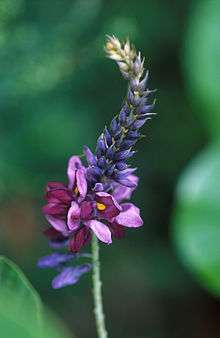 "Pueraria lobata (Kudzu root) hangover remedies and acetaldehyde-associated neoplasm risk". Alcohol. 41 (7): 469–78. doi:10.1016/j.alcohol.2007.07.009. PMID 17980785. ↑ Ylikahri R, Heikkonen E, Soukas A (1988). "The sauna and alcohol". Ann Clin Res. 20 (4): 287–91. PMID 3218903. ↑ Walker, Timothy; Fitzgerald, Mary (17 April 2007). "A drinker's guide to hangovers". The Independent. London. ↑ Reihheart, Richard (2007). Basic Flight Physiology. McGraw-Hill Professional. p. 179. ISBN 0-7735-0801-5. ↑ Penning, Renske; Lydia de Haan; Joris C. Verster (2011). "Caffeinated Drinks, Alcohol Consumption, and Hangover Severity" (PDF). The Open Neuropsychopharmacology Journal. 4: 36–39. doi:10.2174/1876523801104010036. ↑ Ling, J; Stephens, R; Heffernan, TM (June 2010). "Cognitive and psychomotor performance during alcohol hangover". Current drug abuse reviews. 3 (2): 80–7. doi:10.2174/1874473711003020080. PMID 20712592. ↑ "The meaning and origin of the expression: Bad hair day". The Phrase Finder. 2 May 2008. Retrieved 12 Aug 2015. ↑ "Why do we say 'Bad Hair Day'?". Learn English. 2 May 2008. Retrieved 12 Aug 2015. ↑ Éduc’alcool, "Alcohol and Health: Alcohol Hangover", July 2012. ↑ Glatter, Robert (15 April 2012). "Hangover Heaven...Descent Into Hell?". Forbes. Retrieved 27 August 2013. "The party's over: Advice on treating hangovers" by Dr. Thomas Stuttaford, The Times, December 13, 2004 retrieved August 24, 2005. A colorful article on hangovers, their cause and treatment along with reference to famous Soho residents, such as Jeffrey Bernard, Dylan Thomas and Francis Bacon.